A hack of Tales of Phantasia PSX that makes it so spells don't pause fights would be more then enough to make up for the lack of a translation of the enhanced PSP release. If that's not possible due to hardware limitations, simply making them faster would be so nice. how much do you think it would cost to pay for a programmer to fix the bugs in seiken densetsu3 3player? For 100000 dollars I'll get in done in a week. For a million dollars I'll do it in half a week. Though did you consider the existing hack might have used (or its hacker may have supplied) the data on the tcrf site? If there's one thing that pisses me off more than anything else in this hobby, it's people waving cash at me to do their bidding. ROM hacking is legally fraught as it is without offering up financial incentives. It's a hobby, something to do for fun, and if someone cares enough about fixing a bug on a ghost ship in SD3 then they'll do it because it's worth doing, not because someone tossed them a few coins. Well I cant seem to replicate the bug anymore, and Im having a hard time accessing the debug room to fight bosses. but I think it happens when players 1 and 2 die at the same time and player 3 is the only one left control of their character, it happened to me when we were fighting jewel eater and we couldnt regain control of a player character they were just left doing nothing.. so I went out into the field and testing what happens when player 1 and 2 dies on normal monster and it doesnt seem to create any bugs. Anyways ill do some more play testing before I post again sorry. I have an SNES Classic, I really like the little system and I love using Retroarch on it to play the games... but something I've always wanted is to be able to have Gane Genie for each of the systems, the actual Game Genie, not the "cheats" feature in Retroarch. What I think would be cool is to be able to have a program / util that would take the Game Genie rom for that particular system and attach it to the rom of the system. Let's say I want to have Game Genie + Super Mario Bros 1, the util would take the NES Game Genie rom and attach it to the SMB1 rom, so that when I stick that rom on my SNES Classic, the Game Genie screen comes up before the game and I can input my codes. If I wanted to do that to a Snes rom, you select the SNES Game Genie and the rom and the program combines those into a single rom. I don't think something like this is unfeasible. I mean, if something like Super Mario All-Stars NES can be done, where it's fusing Mario 1, 2, 3 and Japan Mario 2 (Lost Levels) I don't see why a util to fuse a Game Genie rom to a game rom can't be done. It would need to be able to do NES Game Genie, Snes Game Genie, Sega Genesis Game Genie. Maybe GB and GBA too if you wanna go the extra mile. Why would I want such a program? Why would I want to add Game Genie onto individual roms when Retroarch already has a cheat feature? Authenticity and nostalgia. Why else? Because seeing that screen come up before a game loads brings back pleasant memories. i do this from time to time on certain games, but i have only did it on my Wii emulators. Increase Aya's walking speed in Parasite Eve 1 to something faster than a snail. Well it was worth a shot, I'm sure it would be quite a task. I did a little more searching, and from the looks of it, it would be gloriously easy in FCEUX. It might also be a good intro to ROM hacking and basic programming. If this would meet your needs, I can take a crack at it (no promises on the timeline though). Maybe I could get a basic example going and you can take it from there? It's fun to think about. Each player could enter their name in the Zelda game, then it would switch to Punch Out, and after the Honda fight, switch to 1943... Do some math on the scores, display the result on screen at the end of a run, and possibly show all scores for all players at the end of all runs. I am haunted by the idea of using the Lua scripting capability to write custom AI in a high-level language and just let the ROM handle collision detection with the player. Not a proper hack, but possibly a very expedient way to get new complex behavior. Boot game in TV color mode. I swear I had such a patch once before, but I can't find it, and I have no idea how to create it myself. It was just a very convenient patch, as the default color mode is terrible on an actual TV. I don't recall such a thing for FFTA in past discussions of GBA colour modding, though given the extent of the hacks I see coming from that world then I would be surprised in the slightest here to find one already existing. A token search on my part did not find much of anything though. Is it one of the automatic detection things? Or is it an option in the menu somewhere? While there are automatic games most things I know of are more on the manual side of things. Regardless of that most things like this tend to do a simple flag in memory, said flag trickling down through all the palette choices and whatnot. In this case I imagine it would be set fairly early in the game, and go from there if it is automatic. This means you could probably even render it as a cheat (and hardpatch it with the likes of GBAATM or GABSharky or something if you are good with a cruder method here). If it is manually set then it should be easy enough to find the flag -- hopefully it is set when you select the option, but jumping in and out of options menus is not the hardest thing in the world. Standard cheat search methods here -- change it and check for changes, don't change it and search for things that remain the same, drop the list of possibilities down and down and down until you have enough to check manually. If it is automatic then that would probably warrant some fun with assembly ( https://www.romhacking.net/documents/361/ is not quite the same thing but a decent intro to the general workflows, though I would suggest no$gba debugger version these days). The link from the start details how the detection is done in hardware so you would have to find that. It is a fairly unique thing it looks for so you could probably do a simpler search but if that is not to be then stepping through code manually that early in the game should not be so bad either. It's an option menu on the title screen. Definitely not an auto-detect. It always defaults to the brighter palette on start-up regardless of which device you use. Yes, I found this obnoxious, too. If possible, it would be nice if the patched version would remember your selection, but I'd settle for just having it default to TV mode. I also read the news about RS2 cancellation. For the remake I agree in that the visuals while not a complete turn off (at least to me), does lose the charm it once had. Wish that SquareEnix had included an option to play it with the new graphics or with the original, like how Wonder Boy and the Dragon's Trap allows. Out of curiosity, I am on the fence about getting the game on the Switch since I heard that it has really bad input lag. Can anyone here confirm the input lag if they have the game? I recently started watching the Classic Tetris World Championships on YouTube, and it gave me a few ideas for a "Tetris Pro" hack for the Nintendo version of the game on the NES that includes additional info boxes for Tetris Rate (what percentage of line clears have been Tetrises) and a drought counter (how many pieces since the last Line Piece), and an infinite score counter (where after breaking 999,999 the score goes to A00,000 indicating a million and keeps counting from there). SF2 series Optimize control layout for 3 Button Pad for Genesis. SF2 series Optimize control layout for 4 Button Pad for SNES. 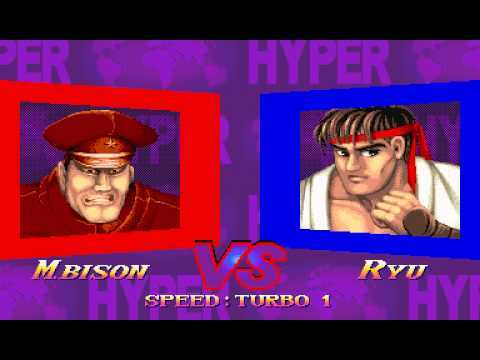 SF2 Optimize control layout for 2 button PC Engine's handheld The Turbo Express. -Fireball Pallete change to blue instead of red. -Responsive and Forgiving special move execution commands. ie Hurricane kick. 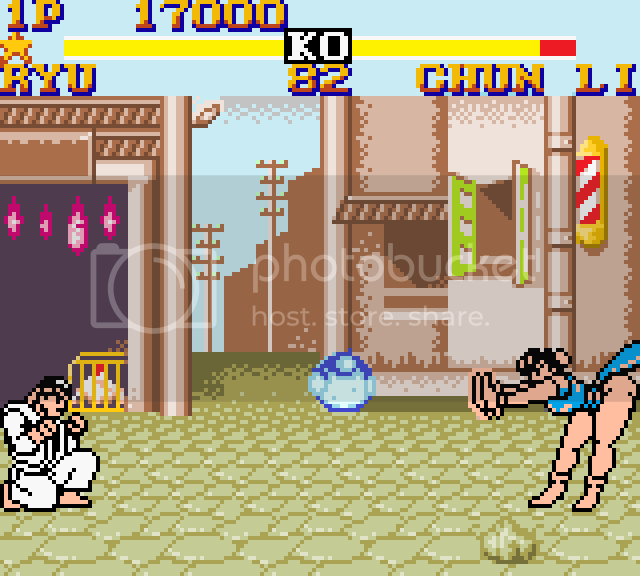 To look visually more akin to other SF2 games in visual standpoint. 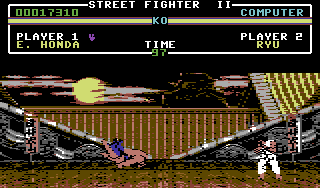 SF2 Nes port with Gameboy and Spectrum sprites colored. There were other works interpretation of colored version that is completed by Seong-jin for Mugen Stage. That can be used as inspiration. Or just add another digit and properly support 1,000,000. You already posted this in April 2018. And in October 2017. I guess I can't fault you for trying. A lot of GBA games suffer from bad color due to the screen being so dark, but FFTA is one case where the problem is easily mitigated.